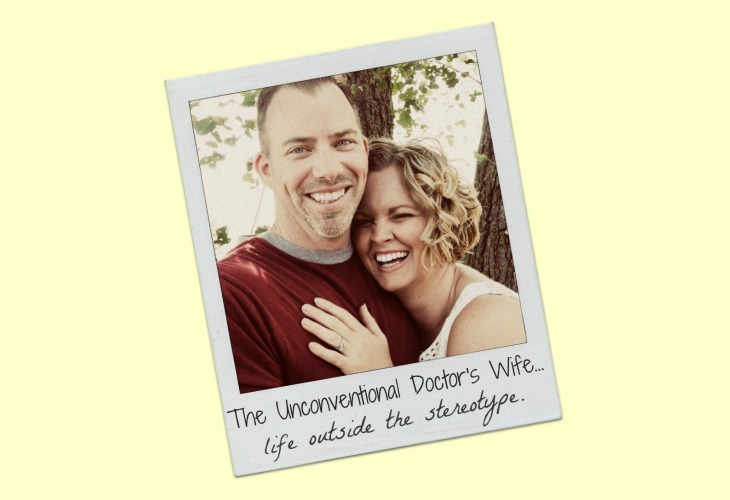 The Unconventional Doctor's Wife: The New Normal. Again. Life changes constantly. Schedules change. Kids grow. Hobbies develop. Tastes change. And after each shift, there becomes a period of "normal". The normal routine. The normal facts of life. I cannot stand the shifting part. I am not necessarily a person who must have routines but I don't like to feel insecure. If I could jump from one normal to the next without the figuring out part, I would be really happy. School started for Lou. Nothing new there, but a change none the less. We are still home schooling this year. But she is signed up for an outside class that meets 2 times a week starting next week. School started for Bub. He's going to public Kindergarten. School starts at 8:30 and doesn't end until 3:57. Really?! They need THAT much time with my 5 year old. Ug. We had him going only a half day for the first couple of days (to make sure he didn't get worn out after last week). Today he pleaded with me to let him stay until after snack, which is practically at the end of the day anyway. I called his Dad and asked his opinion. We decided that we would let him stay the whole day. But I can't bear to let him ride the bus yet. Next week he will start to ride. That means he will be gone from our house from around 8 until around 4:30. That is 8 and a half hours. For a kindergartener. Seriously. I told Doc last night that it seems like school is just for occupying our kids' time. I don't need someone to occupy him for that long. I don't mean occupy in the sense of keeping them busy and learning. I mean occupy as in "do something with my kid so I don't need to mess with him or worry about him." I like my son. I enjoy spending time with him. I miss him. It doesn't sit well with me. The schedule shifting thing...my point is, we won't have all the pieces to our schedule in place til Bub starts riding the bus next week and Lou starts her class. I also am dealing with the post traumatic bubble burst. My make believe bubble of "nothing bad has ever happened to my kids so it probably won't ever happen" has definitely burst. It is requiring a lot of trust on my part in the goodness of my Heavenly Father. Good thing He's trustworthy. I just have to constantly remind myself of that. My brain feels all wonky. I feel discombobulated. And my house is a mess. I seriously need some order in my life and another cup of coffee. I am THANKING GOD right now for a school across the street and half day kindergarten. I think I would FREAK out of I had to send my kids on the bus....I am a super control-freak, though. AND...I like my kids, too. I was wondering the other day...why can't they just have optional half-day public school all the way thru? The new normal will be here by the end of the month. ;-) But, I get ya...I like being settled into the routine and feeling safe. oh you Sweet Thing! What a week you've had. I was BAWLING over Bub and so very, very glad he has bounced back so quickly! Life is a rollercoaster. How people deal with those white knuckle moments without Jehovah Jireh is beyond me. Thank you for sharing! And hang in there! awww...little bub is growing up! That is a long time to be away from your little ones. I cannot imagine..seriously..(sometimes I daydream about it though..hehe) but really when it boils down to it..I would hate it too. 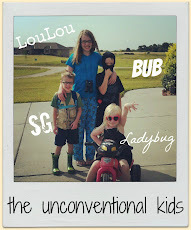 I like having the kids around and being a Part of the majority of their day. Breaks are nice..but the kids keep me on my toes. Ouch, I feel the same way sending our girl "Superstar" out the door to her class at the college...oh man.